Railway Protection Force (RPF) has released the admit cards for the recruitment exam for Group A, B, and F candidates. 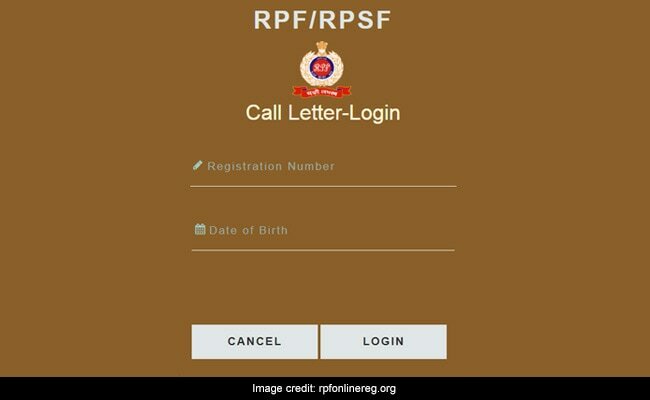 RPF Admit Card 2019: Railway Protection Force (RPF) has released the admit cards for the recruitment exam for Group A, B, and F candidates. The exam for the groups A, B, and F will begin on January 17, 2019 and conclude on January 25, 2019. RPF has been releasing admit cards ten days prior to the exam. RPF is conducting exams for Sub-Inspector and Constable vacancies in all six groups simultaneously. The test are being held in 15 different languages - Hindi, English, Urdu, Tamil, Telugu, Konkani, Malayalam, Kannada, Marathi, Gujarati, Bengali, Odia, Assamese, Manipuri and Punjabi. RRB Group D Answer Key Today: What's Next? Step one: Go to official RPF website or click on this direct link. Step two: Click on the 'Call Letter' link on the home page. Step three: Click on the Group under which you have applied for recruitment, i.e. A, B, or F.
Step four: Enter your registration number and date of birth. Step five: Click on 'Login' and download your admit card. RPF recently postponed the Sub Inspector (SI) selection exam which was scheduled to be held on January 9. The new exam dates will be announced soon.